How It Works: Those small, ubiquitous photocopy stores are very lucrative, and can be launched with no seed money—just rent. Owners lease copy machines for $500 per month. The companies charge a few pennies per copy. Stores purchase their own Internet kiosks and fax machines, charging $1 per sent or received page. Walk-in customers are a minuscule percent of business; local offices provide nearly all income, which in a good month can top $20,000. Employees: 1, plus owner Mark Tadres. Annual Revenue: $192,000 ($42,240 is profit). 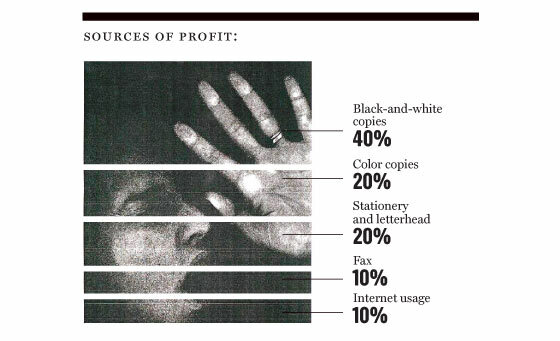 Annual Overhead Costs: Employee salaries: $60,000; rent: $36,000; copy machines: $6,000 each, plus 1 cent per black-and-white copy and 10 cents per color copy. Most-Profitable Services: Restaurant flyers. Those annoying restaurant flyers fuel the photocopy industry. Local restaurants order 1,000 new flyers every three days. Added value: For many companies, the high price of printer cartridges makes using a photocopy store a more economical choice than doing large-scale printing in-house. The rotating schedules of legal, doctor, and university offices ensure year-round business. 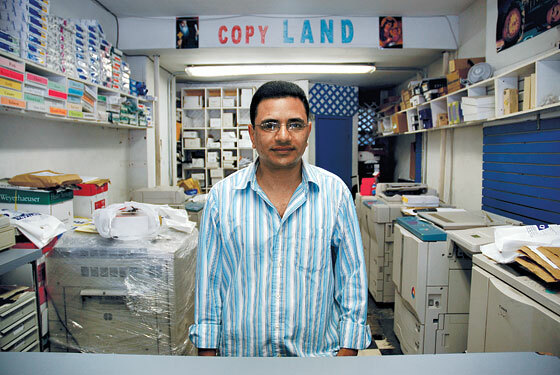 New Yorkonomics: Business services like this copier have replaced light manufacturing as the backbone of New York City. Abundant copy shops thrive because smaller New York firms don’t want to lease their own copiers or pay for the space to house them. These business services help make the city an engine of entrepreneurship, because start-ups can buy services from freestanding suppliers, instead of buying their own equipment.